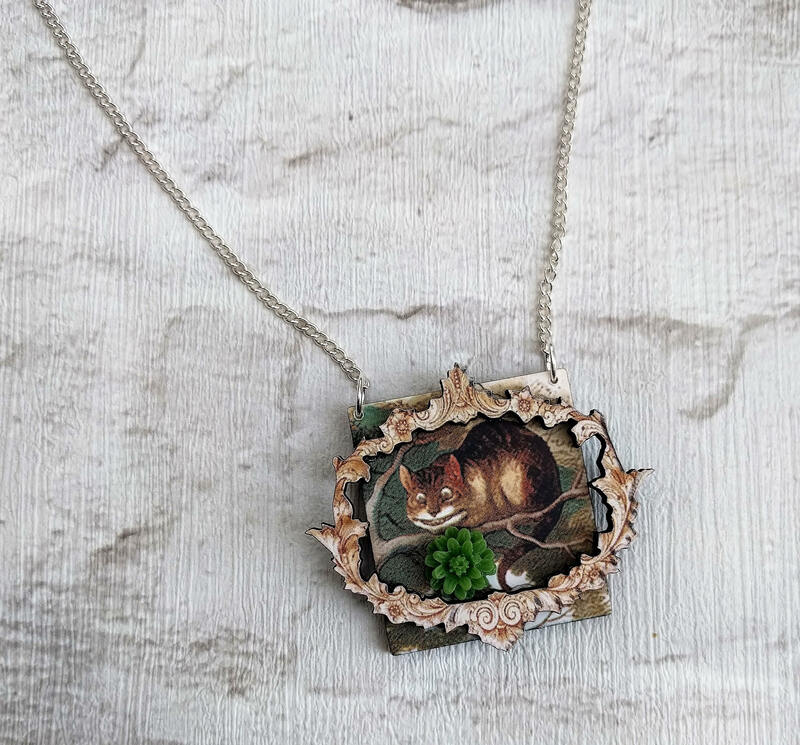 Wonderful Wooden Colour Illustration Necklace featuring the Cheshire Cat. Original drawing by John Tenniel the illustrator of the first books. This beautiful Alice In Wonderland Necklace has been made by printing an original Tenniel illustration to 1/8” (3mm) wood and then laser cutting to shape. The reverse of the pendant is painted black and a wooden frame and acrylic flower adorn the front of the pendant . An 18" silver plated split chain completes the necklace. • The necklace is made from paper and wood and therefore will not withstand being taken in the shower or swimming pool.